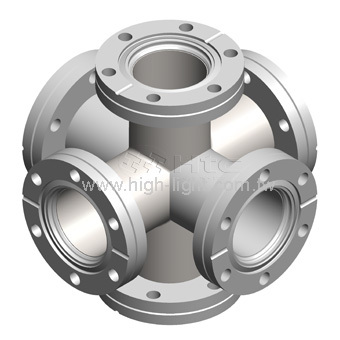 The 6 way cube fittings with Conflat flanges are used for ultra-high vacuum applications. 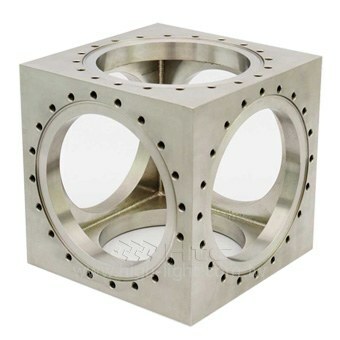 The flange size CF-100 (4” bore, 6” OD) and below are made of one piece block. 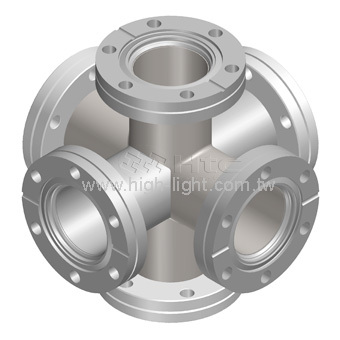 The flange size CF-150 and above are made of welded plates. 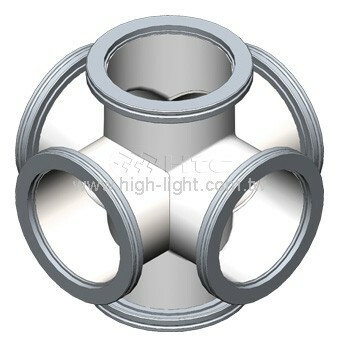 The standard material is S.S.304, other materials are available upon request. 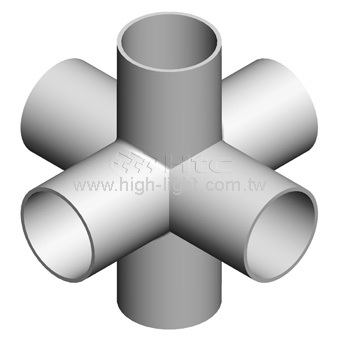 Htc vacuum provides 6-Way crosses series : Fittings type and Cubes type. According to customer demand to design and manufacture, application for Research units or special vacuum environments. Our business specialist will contact you and offer quote.